This snack is our happy-days mashup of heat and sweet. While your taste buds zing with spicy sriracha, the maple-good sweetness comes through to smooth out the experience. 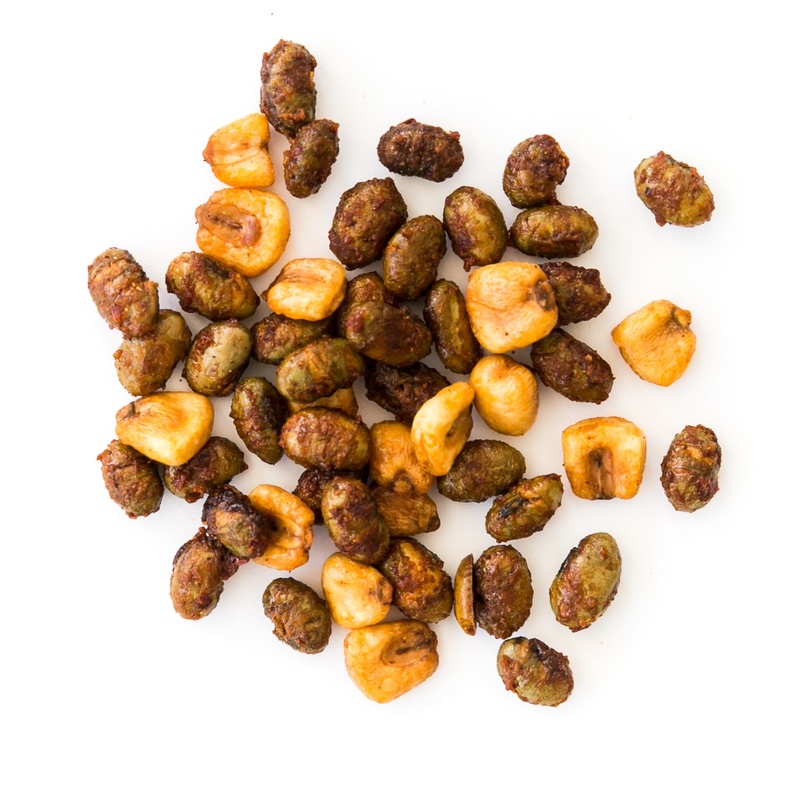 If you're looking for that satisfying potato chip crunch without all the nasties, then look no further than our roasted corn nuts. Roasted edamame is low calorie, contains no cholesterol and is an excellent source of protein, iron, and calcium. Happy crunching!